This little angel was just perfect during his big debut newborn session this morning. I don't know if I've had a boy yet who didn't poop or pee on me so it was a welcome surprise to have him sleep so soundly and get his "business" done before we got started. Jackson is just 12 days old and was absolutely precious! Even though I get the amazing privilege to see newborns on a regular basis, it still amazes me how tiny these babies are. 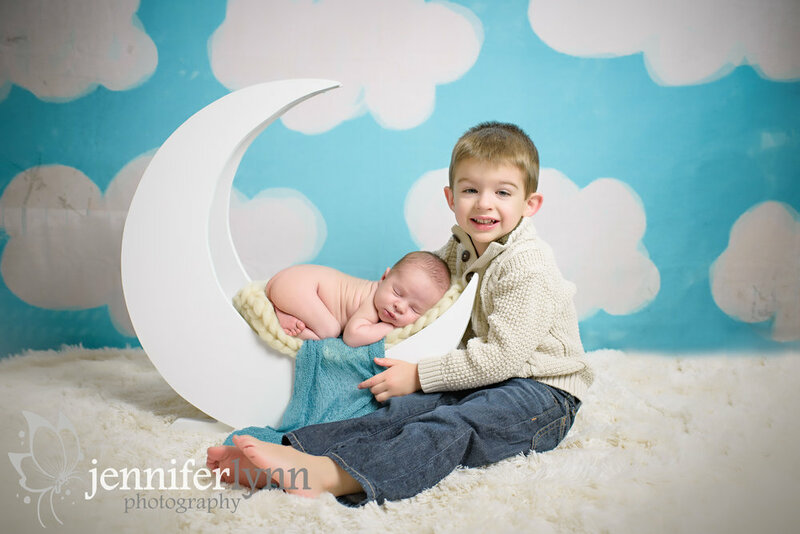 My new sky and cloud backdrop came in and I was thrilled I got to use it with him and big brother for some sweet sibling photos. He loved being wrapped up on the soft fur and, of course, was snuggly for mom and dad to get some pictures with their newest little blessing. Thanks so much to the family for the opportunity to preserve such special memories, capture your new family photos, and to get some newborn snuggles in the process.